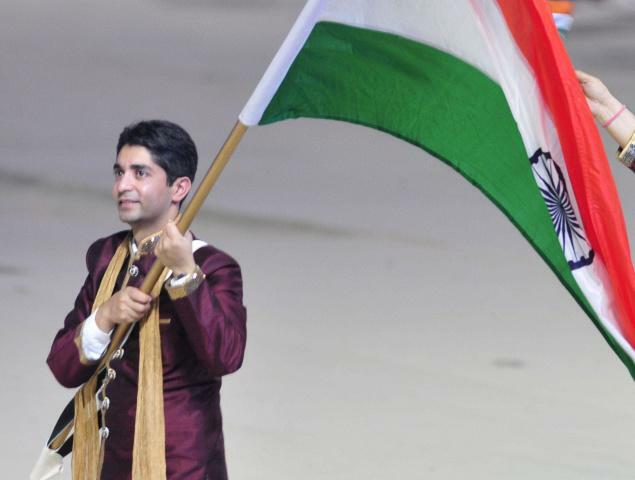 Abhinav Bindra (Olympic champion shooter) on Friday chosen as the flag-bearer of Indian contingent at the Rio Games opening ceremony on August 5. The Indian Olympic Association (IOA) said that they have chosen the 2008 Beijing Olympic gold medalist as the country's flag-bearer for the quadrennial extravaganza. Bindra is india's only individual gold medalist at the Olympics. Abhinav is also in the executive board of the International Shooting Sport Federation (ISSF). We feel it's a just decision a wise decision and we hearty support it, Raninder Singh (NRAI president) told PTI. Abhinav is the winner of numerous medals at top international competitions including World Championships, Asian Games, Commonwealth Games and World Cups. Abhinav is also one of the goodwill ambassadors of the Indian contingent for the Rio Games and is working towards inspiring the athletes to give their best in the Brazilian city this summer. 'It will be my greatest honour to be the flag bearer of the Indian contingent participating in the Olympic Games. I hereby give my formal consent,' Bindra said in his acceptance letter sent.